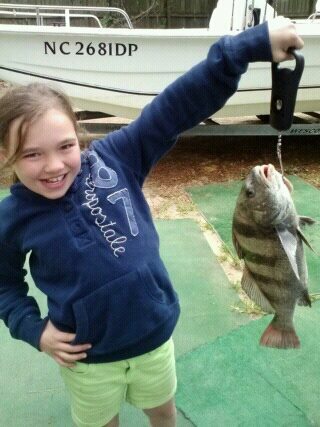 10 yrs old maddie Beanes 1st Black Drum.4 1/2 lbs. Caught at Carolina Beach (snows Cut) 5-24-2013. She showed the fellows up. beaneo1971 has not filled this section yet.